Coach HC8169 is a Full Rim frame for Women, which is made of Propionate. Coach HC8169 RXSunglasses come with a cleaning cloth and protective carrying case. This is my first pair of prescription sunglasses and I couldn't be happier. The glasses were just as described and fit great. These prescription sunglasses is just what I have been looking for. I was unsure that they would fit without having tried them on but to my surprise, they fit perfectly and looks great on me. I have gotten lots of compliments while wearing them. The color is so unique as well as the style. 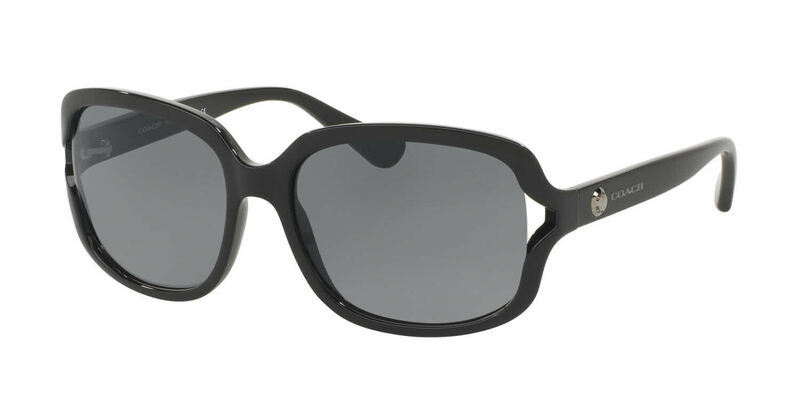 Who would have thought that prescription sunglasses could look so good. This is the best investment in eye wear I've made thus far. I will definitely be purchasing all of my eye wear from Frames Direct.